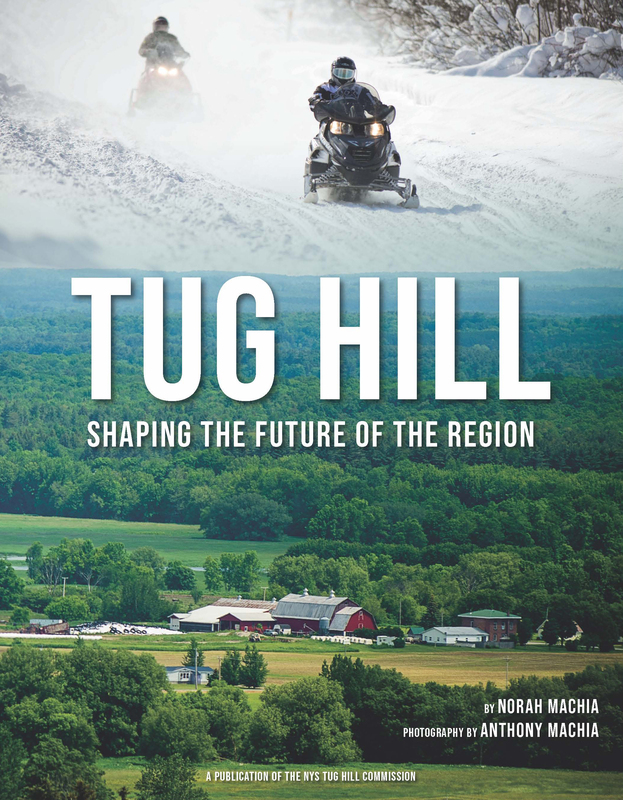 This new book by Norah Machia provides a comprehensive description of the Tug Hill Commission and its efforts to help local governments with a variety of issues, including natural resource conservation and economic development. It offers the reader a glimpse into the work done by the commission’s leaders, staff and volunteers to build strong relationships with the people of the Tug Hill region, resulting in a successful partnership that has spanned decades. The author also brings to life the stories of Tug Hill residents who have worked diligently to protect and develop their lands, allowing others to enjoy the richness and diversity of this 2,100-square-mile rural region in Northern New York. Numerous back roads were traveled to seek out the people that make this part of New York State so unique, including farmers, maple syrup producers, and loggers. The author also shares the stories of life-long residents who have, among many other things, survived years of harsh winters on the Tug Hill plateau, home to the heaviest snowfall in the eastern United States. The book is available for purchase from Amazon, Kinney Drugs, and the Tug Hill Tomorrow Land Trust’s website.